The town of Oro Valley will hold its primary elections for mayor and three Town Council seats on Aug. 28. 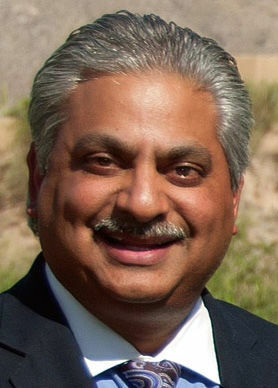 Incumbent Mayor Satish Hiremath is seeking re-election to his third term and will face off against Joe Winfield, who ran for the position during a recall election in 2015. For the Town Council, three incumbent candidates, Vice Mayor Lou Waters and council members Joe Hornat and Mary Snider are seeking to return for another four-year term. Opposing them are Melanie Barrett, Joyce Jones-Ivey and Josh Nicolson. The El Conquistador Golf Club — now the Oro Valley Community Center — continues to be an issue for the town since its purchase in 2015 for $1 million. According to the town budget for 2017, Oro Valley had expenditures of nearly $6.5 million related to the club. The Arizona Daily Star talked to the eight candidates about their motivation for running, how they would address the community center, and their visions for the next four years. Hiremath: Over the last eight years, we’ve created a system that relies not on property tax — the town of Oro Valley doesn’t have a property tax — so we live and die by sales tax, construction tax, utility tax. We’ve created a system through relationships that have resulted in surplus budgets for seven of the last eight years. If the majority of the council changed in this upcoming election, I don’t feel we are solid enough in putting systems in place so that any mayor or council in the future can be swapped out and there won’t be a detriment to the revenue. Winfield: I strongly believe it’s time for a new direction. My vision is a community that is led by transparent and responsive town leaders, who listen to and uphold community-based decisions. My vision includes responsible and managed growth that reflects community interest including parks, recreation and cultural opportunities for all ages. Managing the town’s finances wisely is the foundation of my vision and I will work diligently to minimize the financial burden of taxpayers. I will honor and support the community’s high regard for public safety, open space, and desert and mountain views. Jones-Ivey: I decided to run for council after attending several council meetings and seeing resident input ignored. I believe that parks bring communities together, but not under our current administration. My perception is that no one on the current council speaks for seniors. We need to provide recreational amenities for all residents where they can come together as one community. Nicolson: I felt that our current council listened to their developer contributors and not town residents. We need to have honest, transparent leaders who will live in Oro Valley for years to come and experience the results of their decisions. Barrett: I feel strongly that we need new voices on the council who are accountable to the citizens of Oro Valley and do not answer to special-interest groups. Young families are not adequately represented on the Town Council. The top amenity requested by residents was playgrounds, but in eight years, not one new playground. At the same time, millions are lost each year on a failing golf course. Snider: I genuinely enjoy public service. My goal is that Oro Valley citizens continue to enjoy a fulfilling quality of life. Preserving scenic views, supporting public safety, a sustainable water supply, excellent roads, and expanding recreational offerings are my priorities. Strong fiscal policies are a key part of council’s strategic business initiatives that improve our property values. Waters: To preserve and protect the long-term financial and economic stability and sustainability of Oro Valley — the No. 1 community goal of the town’s Your Voice Our Future general plan. Quality employment is underway. Our park and roads are being upgraded, infrastructure improved. No property tax in Oro Valley and we still managed to go from deficit to surplus through a horrible recession. We’re in great shape financially and as a master planned community. Going in a ‘new direction’ is not in keeping with our general plan. Hornat: I want to continue to improve the town and its ability to attract businesses on behalf of the citizens who live here and enjoy, as well as expand the quality of life we have for all ages. WHAT ARE YOUR PLANS FOR THE ORO VALLEY COMMUNITY CENTER? Hiremath: I always envisioned that after five or six years we would break even with the entire community center fund including the golf, but June 30 of this fiscal year, which is only three years after the acquisition, we are slated to break even. For this coming fiscal year we’re looking at reinvesting back in the property to a tune of $3.8 million to replace irrigation. We feel that in three to four years after that investment, the community center fund will generate in excess of over $500,000 a year. Winfield: The purchase of the El Conquistador Country Club was a backroom deal by the incumbents with their campaign contributor. It’s been a financial disaster and has divided our community. … In spite of this, the town’s parks and recreation staff has done a remarkable job to serve the residents. As mayor, I will continue the community center operations unchanged while reviewing the recreational needs of all residents. Jones-Ivey: I am at the community center weekly enjoying table games and I am impressed by the Parks and Recreation programs, but not the facility. Half of our town residents are over 50, and along with children’s programs, they are stuffed in an aged racquetball facility facility where they are being woefully underserved. Oro Valley deserves a better community center to provide recreational activities for all residents. Nicolson: The community center building is a racquetball facility not suited for the recreational programs residents need. The facility does not meet our needs as a young family, and we have chosen not to become members. I will continue the community center as established, but direct the town staff to conduct an open and honest review of town options to provide better recreation facilities. Bonding $6 million to relocate the restaurant and repair underused golf courses is not in the best interest of town residents. Barrett: I will work to separate the golf and the community center, and to daylight all of the costs involved. With golf, I will work to stem the losses by canceling the Troon contract and reducing excess golf capacity. In the affected areas, we would transition to a linear park and trail system that will be an asset to the community and surrounding properties. I will keep the community center operational so that it can continue to serve the needs of families who use and enjoy it, while taking a hard, transparent look at Oro Valley recreation needs and how best to meet them. Snider: The Oro Valley Community Center is unfolding as a good-news story. The OVCC fund will break even by June 30, ending this fiscal year with a slight surplus, two years ahead of the initial five- to six-year plan. Further investment is now possible for this valuable town asset. Looking forward, the council has approved a three-year capital improvement strategy beginning in 2019 requiring no new revenue to carry out the planned replacement of aging irrigation lines. Waters: For $1 million debt-free, in the center of town, we have 326 acres of land, 31 tennis courts, two pools. A 50,000-square-foot facility and programming for residents is underway for fitness, sports, leisure, life lessons, summer camps for kids and yes, golf. The courses, long ignored, are vastly improved and attracting golfers who’ve already balanced the golf ledger. The community center now is the focus of all our attention and plans for success. Hornat: We have already drafted, budgeted and voted on a plan to reduce the cost of food services and move those services to a new location closer to the actual golfers. We have a plan to have 36 holes of golf, reduce the actual turf on the 36 holes to save on the cost of reclaimed water, repair the irrigation system to reduce leaks to reduce the cost of water and expand our community service area to offer more program space. We will continue to improve the community center as time goes on and reinvest in this resource. Hiremath: We have created incredible relationships with developers. There is well over $200 million worth of investment in a community that is only 43,000 people, of which we have collected over $60 million in construction and impact fees, which goes directly to fund public safety, our roads, our recreation. We have partnered with Pima County in the past, so that, in perpetuity every single year, over $750,000 is saved by Oro Valley residents by not owning the library. It’s really relationship building and maintaining strong relationships that have made Oro Valley successful. Winfield: My first priority will be to ensure that the decisions of the Oro Valley Town Council reflect the wishes of the majority of our residents not developers and special interests. I will re-engage residents in determining the direction of our town. On town growth we will revisit land use, zoning, and codes to ensure that future growth retains our small-town feel and preserves our scenic beauty and our Sonoran Desert environment. We will improve town recreation facilities for our children and seniors. Jones-Ivey: To work to restore the community voice in town government by holding quarterly town hall meetings. Restoring citizen-based commissions and boards, like the Conceptual Design Review Board that allows citizen input into the growth and development of our town. To provide better recreational activities for our children and seniors. Nicolson: The first town priority ... is transparency. Town residents need to believe their elected officials are working for residents not developers or others doing business with the town. This also means that our council does not take up major initiatives without voter involvement and approval. The next priority is to get development under control — every new development features small lots and minimal setbacks. Finally, town parks and recreation spending needs to be aligned with resident needs. Barrett: I will work to bring the community back into the decision-making process through boards and commissions, representing the voice of the people. I will seek to develop and execute a community-driven plan for Naranja Park oriented toward young families, and seniors. I will abide by the voter-approved general plan which I participated in creating and ensure that zoning codes create the results our residents desire. I will maintain strong public safety, good roads and infrastructure, but will critically review the town budget. Snider: Listening to the varied opinions and changing needs of our residents. My top priorities are protecting the quality of life through continued balanced budgets that ensure public safety, water, roads and quality recreation are sustainable. Bringing well-paying, primary jobs to Oro Valley will be key. Waters: The two-year strategic plan now is carrying out short-term priorities. My top priority is to follow the existing plan which states: The town’s lifestyle will be defined by a strong sense of community, a high regard for public safety and an extraordinary natural environment and scenic view. Some tell us ‘stick to the general plan.’ I’ve just done that. Hornat: Continue economic development to attract new business to Oro Valley. Continue our excellent public safety record, including our school resource officer program, which has become a model in the state and nationally. Continue our collaboration with Tucson Water for our wheeling of CAP and bring on more of our CAP supplies directly to us from a collaboration with NW Water, Marana and another provider. Continue our careful growth, which has been respectful of open space for all citizens and wildlife preservation. Continue our practice of fiscal conservatism with balanced budgets and surpluses. Eddie Celaya is a University of Arizona journalism student and an apprentice at the Star. Satish Hiremath, 54, is a dentist from Kalamazoo, Michigan. 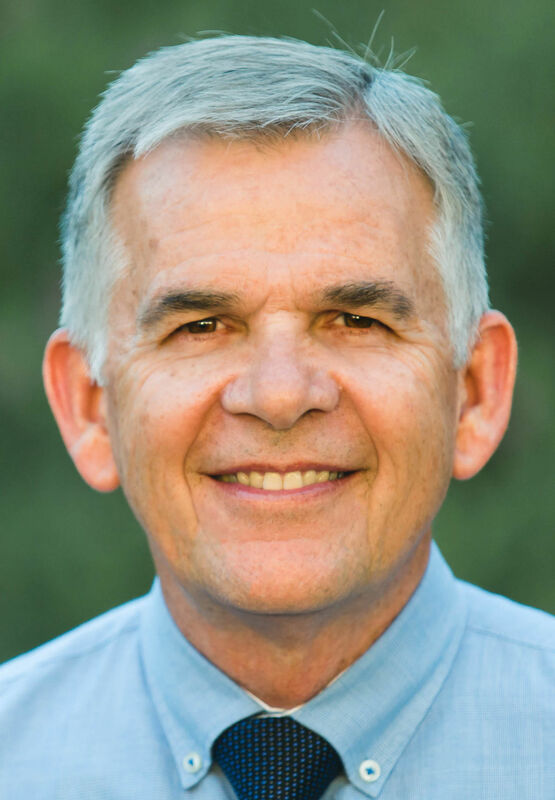 He's lived in Oro Valley since 1990 and received his Bachelor's Degree from University of Michigan and D.D.S. from Howard School of Dentistry. Lou Waters, 79, is a retired journalist and photographer from Minneapolis. He studied architectural engineering at the University of Minnesota and has lived in Oro Valley since 2002. Joe Hornat, 74, is retired from the telecommunications industry. He's from Hinsdale, Illinois, and moved to Oro Valley in 2006. Hornat attended three years of college in electrical engineering at the Illinois Institute of Technology before he was drafted into the Army and served two years at Fort Huachuca. Mary Snider, 67, is from Portland, Oregon, and moved to Oro Valley in 1999. She attended Portland State University for two years and previously worked in the healthcare industry. Joe Winfield, 60, is a landscape architect for the National Parks Service. He's from San Bernardino, California, and earned his Bachelor’s degree in landscape architecture from the University of Arizona. Winfield moved to Oro Valley in 1996. Melanie Barrett, 36, works as a photographer. She's from San Diego and graduated from Brigham Young University Law School. She's lived in Oro Valley since 2009. Joyce Jones-Ivey, 67, is a retired nurse from Altadena, California. She earned her Bachelor's of nursing at Cal State University and has a Bachelor’s in divinity from Suffield University. She's lived in Oro Valley since 2016. Josh Nicolson, 26, is an air-traffic controller from Chandler. He earned his Bachelor's degree in commercial aviation and air-traffic control at University of North Dakota. Nicolson has lived in Oro Valley since 2012. The Payoff Debt Vet campaign begins July 12.